Such a cool playlist! I was so happy Adele rocked the Grammies last night! I love the yeah yeah yeahs! Sweet playlist for this week! I love the Cardigans! I haven't heard them in ages! Thanks! such a great playlist for valentine's! ahh, yes. Time to dig out the archives of my favorite tunes in order to set the musical score. love the pic and all the suggested songs! speaking of Taylor Swift, I loved her second outfit at last night's Grammy's. She's growing up right before our very eyes into a mature lovely woman. loving bonnie and clyde! one of my favs! Must buy that Gym Class Heroes song! i love 'lovefool'!!!! hahaha. it always reminds me of the office! so good! NICE choices, I spot some oldies but goodies in there! Don't tell anyone, but I like Taylor Swift's "Love Story." I remember "Crush" by Jennifer Paige. I loved that song so much and played it over and over again. That is such the perfect photo! Love the shout out to Beyonce and Jay-Z. A PERFECT list for Valentine's Day, Erika! Love Story gets me every time. Love the photo with the playlist! Wishing you a fun Valentines day! Love Taylor Swift's "Love Story"! Love the Best Coast son! Wishing you lots of Valentines tomorrow! 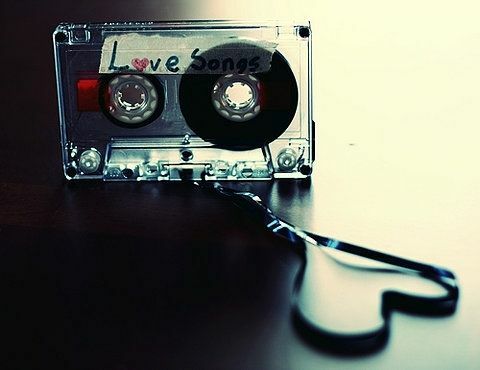 Great picks for love songs! LoVE! This week I'm saying 'play it again, sam' to 'Jerk!' by Stephie Coplan and the Pedestrians. I'll probably still be saying that to this song next week...and next year...and the rest of my life...that's how much I love this song. Really. We can just retire this theme now, as far as I'm concerned ;-). Lovefool by The Cardigans is such a classic song! I love it. I'm listening to We Are The In Crowd. It was out last year, but I'm still so hooked on the whole album. Love this! Some Cure and Best Coast always make me happy! What a beautiful list for Vday! I love Cupid's Chokehold and Kiss Kiss! I've been loving David Wax Museum's "Born With A Broken Heart" lately. Ooh lovely list. I have been getting back into oldies, kate Bush, David Bowie etc! Sounds great, thanks for sharing! Love Bonnie & Clyde da Beyoncé.